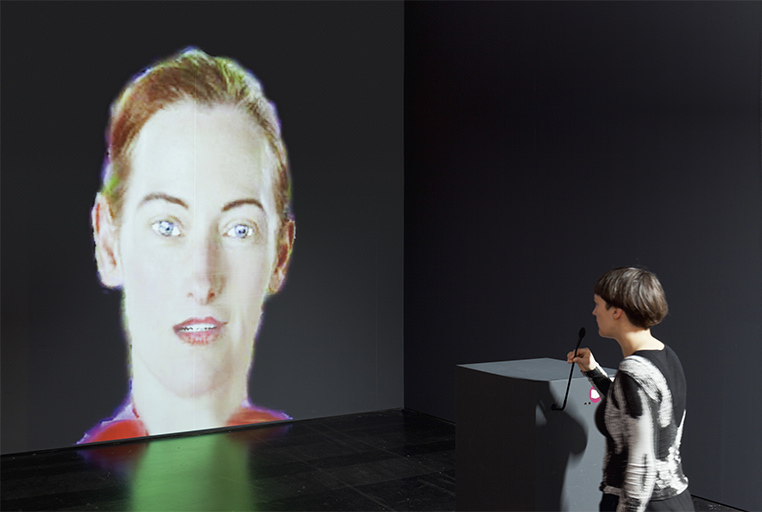 The interactive, multiuser work Agent Ruby is an expanded cinema part of Hershman Leeson’s film Teknolust. 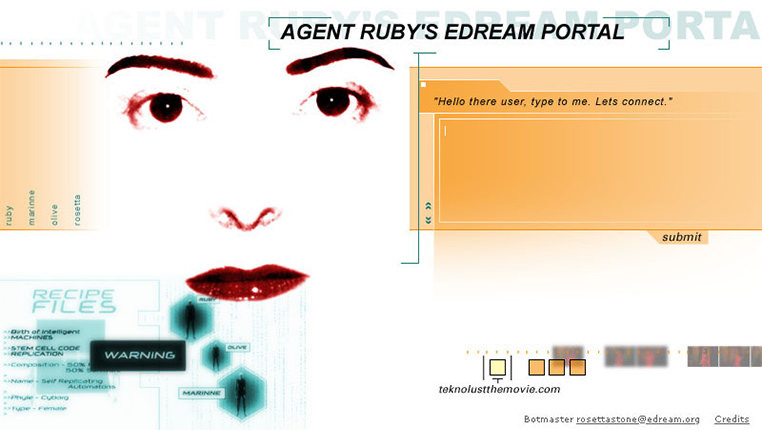 The work consists of an artificially intelligent Web agent with a female persona and a website designed as the working lab of two of the Teknolust characters Rosetta Stone and Agent Ruby. Ruby, who appears as a female face with shifting expressions, chats with users and can remember their questions—although she often responds that she needs a better algorithm to reply. When prompted, she searches the Internet for information and increases her body of knowledge. Ruby ’s internal system continually changes with use, reflecting these encounters; even her moods are directly affected by web traffic. The Web agent can be accessed on the website agentruby.net. 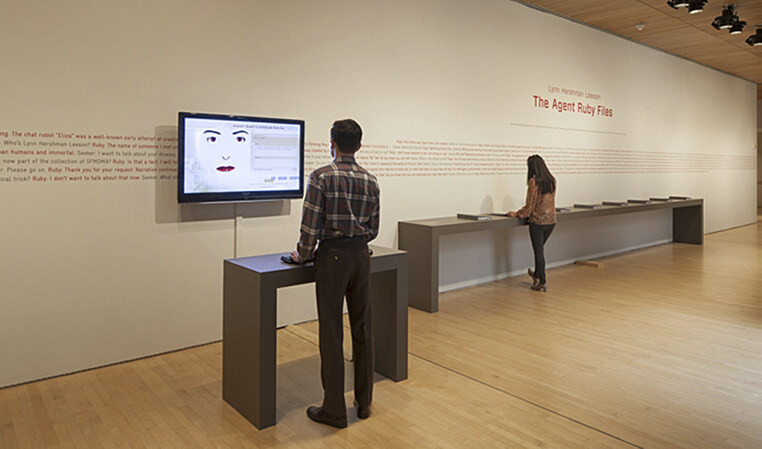 This interactive continuation of Agent Ruby allows users to interact with DiNA, an animated, artificially intelligent female character with speech recognition and live animated facial gestures. DiNA converses using voice-recognition technology and becomes increasingly intelligent through interaction. 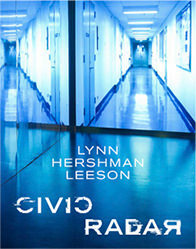 She generates answers to questions and collects information globally from users. DiNA can process Internet content in real time and respond to current events as they unfold.